The prayer (ṣalāh) has been described by the Prophet Muhammad [ﷺ] as one of the five foundations of Islam, the first duty to be judged by Allah Most High on the Day of Judgement and as the divider between faith and disbelief. 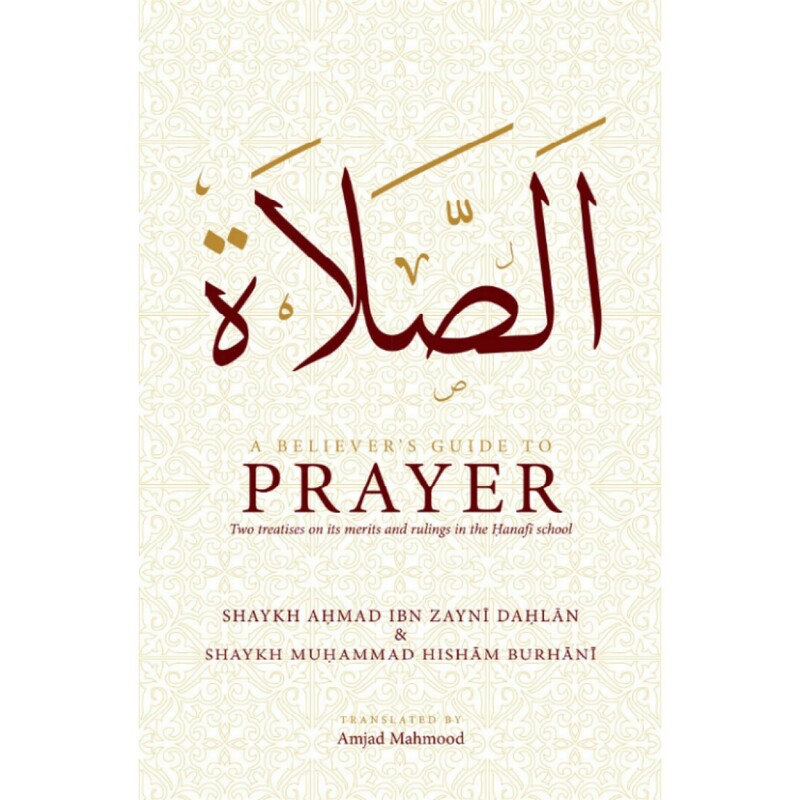 This annotated work includes two treatises that deal with specific aspects of the prayer. The first treatise is by Shaykh Aḥmad Daḥlān, and it outlines the importance of the prayer according to the sources of Islam and the pious figures of early Islam, the duty to perform the prayer in congregation in good order, and it issues a stark warning against leaving the prayer. The second treatise is a legal manual consisting of the rules of purification and prayer according to the Ḥanafī legal school by Shaykh Hishām Burhānī. This work includes detailed descriptions of how to perform the major ritual bath (ghusl), ablution (wudū), how to practically perform the prayer, together with the azan, the integrals of the prayer, and the Friday, Eid and the funeral prayers. In addition to these two treatises, extensive explanatory footnotes, as well as detailed appendices on the nature of legal rulings (aḥkām) in the Ḥanafī school, and the merit and duty to adhere to the Friday prayer, have been included. Shaykh Aḥmad ibn Zaynī Daḥlān (1817–1886) was the leading Shāfiʿī mufti and scholar of Mecca in his time, as well being an authority in Islamic history. He authored, and personally published, numerous works on the Islamic sciences and history. Shaykh Hishām Burhānī (1932-2014) was a Syrian scholar, who was an expert in the Ḥanafī legal school, as well as being a spiritual guide (murshid) in the Shādhilī order. He served as a lecturer in the Faculty of Shariah at the University of Damascus, where he taught Islamic law (fiqh), Islamic jurisprudence (uṣūl al-fiqh) and Qur’anic exegesis (tafsīr).